This is such a yummy clean, healthy, and gluten-free meal! 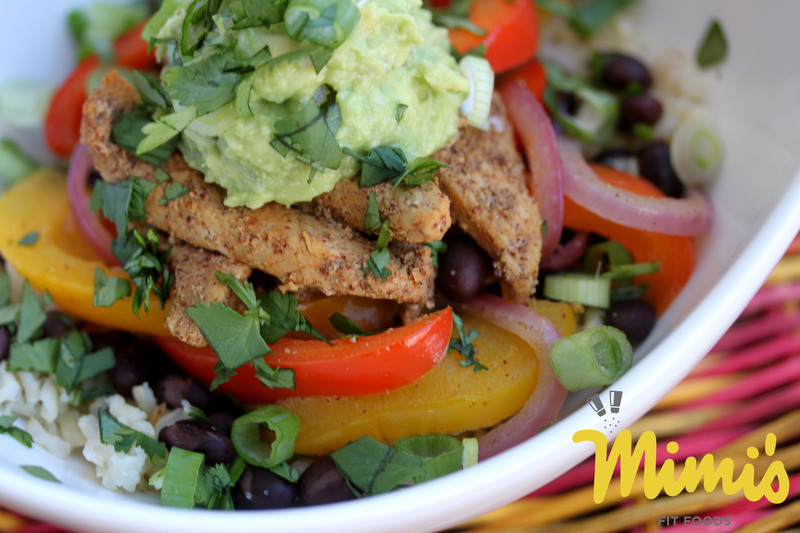 It’s loaded with protein, fiber, and traditional Mexican flavors. These bowls are super easy to assemble. 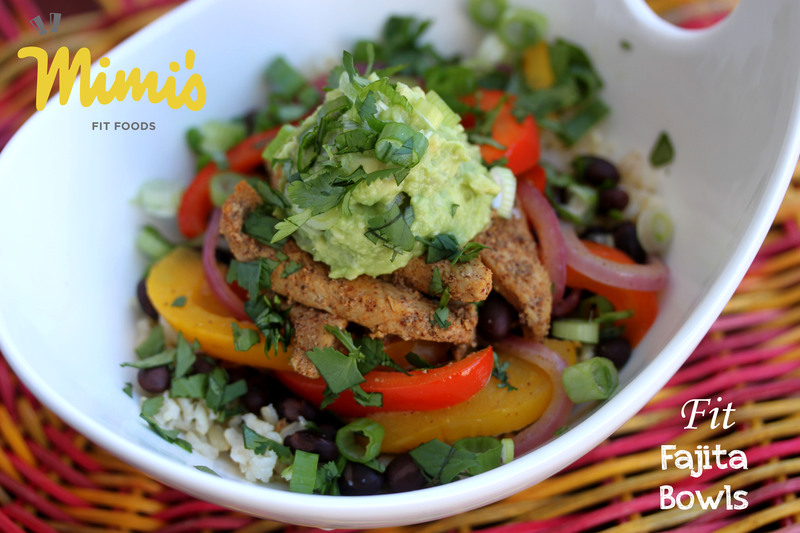 All you do is throw in some rice, top it with black beans, smokey-cumin veggies, Mexican Chicken, Guacamole, and freshly cut green onions and cilantro. When we ate these my hubby said they tasted like they came right out of a restaurant. The great news is, that they tasted like Tex-Mex take-out, but I made them right at home with A LOT less calories and a higher nutritional content. Woot! Now, you can easily cut 100 calories off of these babies if you need/want. All you do is omit the black beans and the Guac. Admittedly, I think the bowls taste better with these ingredients in (which is why I have them in the official recipe) and they also add extra nutritional value. But, if you’re really watching those calories and need a place to cut . . . these are the two ingredients I would chop. I made my Easy Guacamole for these. Why? Because it’s super easy and delicious. I also baked my brown rice so that I had one less thing to worry about while I was putting dinner together. I love putting my rice in the oven and walking away without the worry of it boiling over, over cooking, or under cooking. Heat 1/2 tablespoon olive oil over medium heat in a large skillet. Add peppers, onions, and cumin. Sauté until the veggies soften, about 7-10 minutes. Add half of the lime juice. Set veggies aside. Return skillet to heated stovetop and add the remaining 1/2 tablespoon olive oil. While olive oil is heating up (which won’t take long), coat chicken strips with taco seasoning and remaining lime juice. Add chicken to the skillet and sauté until chicken is cooked through and no longer pink (timing of this will depend on how thick you cut your strips). Remove from heat. Now it’s time to assemble your bowls. Place 1/2 cup cooked brown rice in each bowl, followed by 1/4 cup black beans, 1/4 of the veggies, 1/4 of the chicken, 1 tablespoon Easy Guacamole, and desired toppings (I just did green onions and cilantro). Repeat with remaining bowls.